Every year, millions of people unite for Earth Hour to make a global contribution for the well-being of our planet that we depend on every minute of the day. Nature offers us the air we breathe, the water we drink, and the food we eat, so let’s do our part to keep our earth clean and healthy. Scouts have participated in Earth Hour for years and we hope that this year will be even bigger than before. The 2019 theme is #Connect2Earth and once again we encourage our Cubs,Scouts and Rovers to give back by completing an activity on March 30, 2019. Not sure which activity to plan? Want to run an Earth Hour activity with your Scout Group or Patrol but need some inspiration? Here are some cool ideas to get you thinking about activities to run.Visit wwww.earthhour.org or scout.org/earthhour to learn more and find more resources you can use. Let your voice be heard by sharing what Earth Hour means to you. Send us a short selfie video telling us what nature and biodiversity mean to your daily life. We’ll mashup the best submissions and give you a chance to be featured on Scouting’s social media channels and WWF’s website. Take this quick survey and help us understand your thoughts on biodiversity. Around the world young people are taking action for sustainability. Check out how you can contribute to Sustainable Development Goal 15 – Life on Land. Complete these quick every day actions to save our planet. 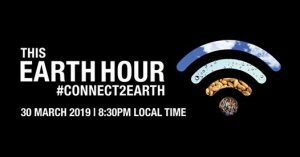 We have the following open channels through which you can share with Scouts and other people around the world what you are doing to mark Earth Hour this year. 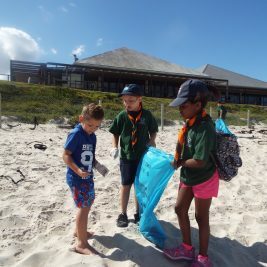 Email: You may also send stories (not more than 500 words) and photos (not more than 5) of your activities to pr@scouts.org.za AND africa@scout.org. Compilations will be shared after the event. Facebook: We invite you to like our pages @SAScout and @scoutinginafrica and share updates and stories of your activities. Please use the hashtags #Connect2Earth, #Scouts, #ScoutsWWF and #ScoutsSA in all your social media posts across all channels. In February 2019 an MoU was signed between the Africa Scout Region and WWF with the intent to strengthen collaboration to stimulate and empower young people to become stewards of the environment and promoters of sustainable development practices in their local communities across Africa. The Regional MoU builds on a global partnership signed in March 2018 to advance sustainable development education and action among young Africans. This cooperation recognises the enormous challenges facing our planet and the important role young people have in creating a more sustainable world. The promotion of Earth Hour and the implementation of activities are part and parcel of this partnership. We look forward to your active participation in this year’s Earth Hour and to celebrate our planet together!